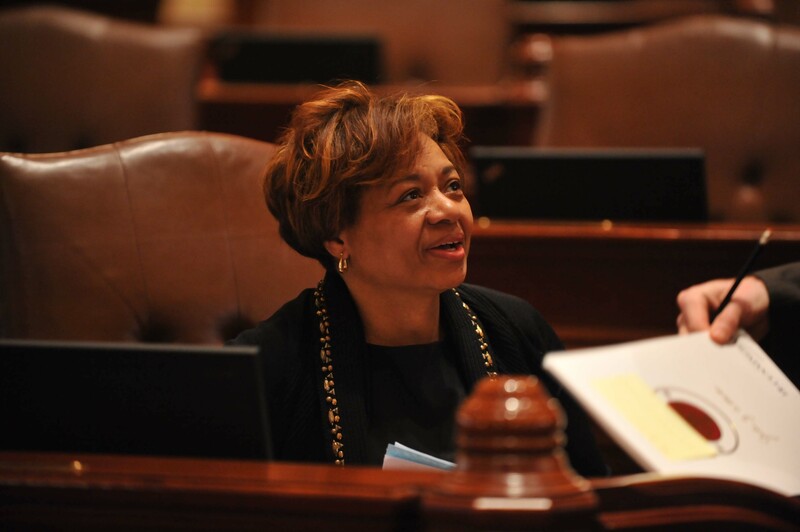 SPRINGFIELD — State Senator Patricia Van Pelt (D-Chicago) is supporting a plan put forth by the Illinois Senate Democratic Caucus to help solve a child care crisis in the state. The plan comes after high-level talks between Illinois Senate Democrats and the office of the Governor on how to keep the Child Care Assistance Program, or CCAP, funded for the remainder of Fiscal Year 2015. “This plan provides the Governor’s office with powers they requested to help fund CCAP for the remainder of the year. The legislation will let this important program continue without putting other programs at risk, without borrowing and without raising taxes,” Senator Van Pelt said. The plan would allow the Governor’s office to shift already existing funds in the state budget to help fill financial gaps in programs such as CCAP, a program to help working families with needed child care. That program has been at risk recently due to lack of funding which has threatened to close many providers, not only putting their clients in jeopardy, but eliminating good paying jobs. “After over a month, we feel it is time to provide our working families and child care businesses with the solution they are demanding. With this plan, the Governor’s office will now have the tools they say are necessary to resolve this crisis for the remainder of the Fiscal Year,” Senator Van Pelt said. 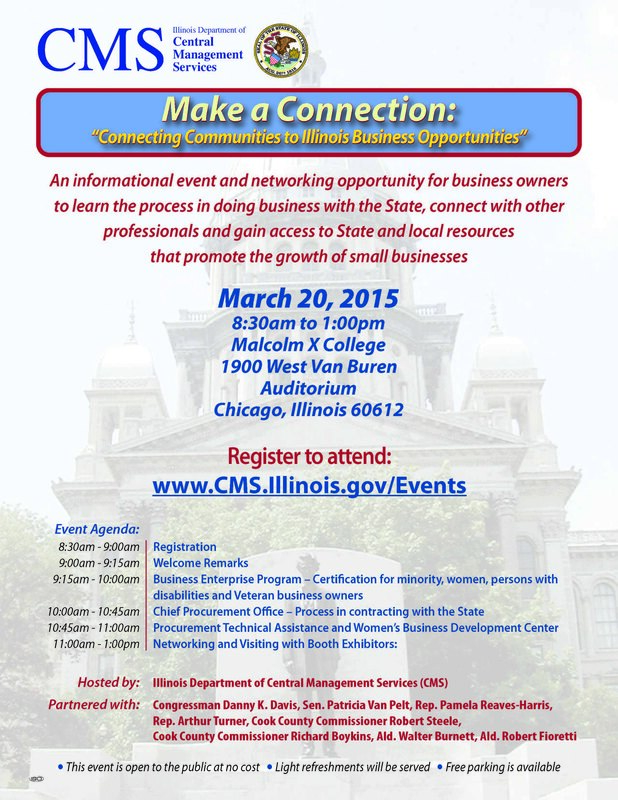 CHICAGO - State Senator Patricia Van Pelt (D-Chicago) is urging residents to attend the "Make a Connection" Small Business event, sponsored by Senator Van Pelt and others, in partnership with the Illinois Department of Central Management Services. The event is designed to help small business owners navigate the processes of doing business with the State of Illinois. The event is to be held on March 20th from 8:30AM to 1:00PM at the Malcolm X College Auditorium, 1900 West Van Buren in Chicago. The event is free to the public and parking is available. For more information, please click on the flyer to the left or contact the Illinois Department of Central Management Services at www.cms.illinois.gov/events. 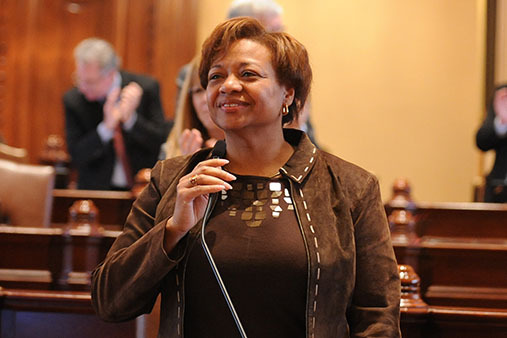 SPRINGFIELD — State Senator Patricia Van Pelt (D-Chicago) released the following statement regarding the Governor’s Annual Budget Address delivered before the Illinois General Assembly. 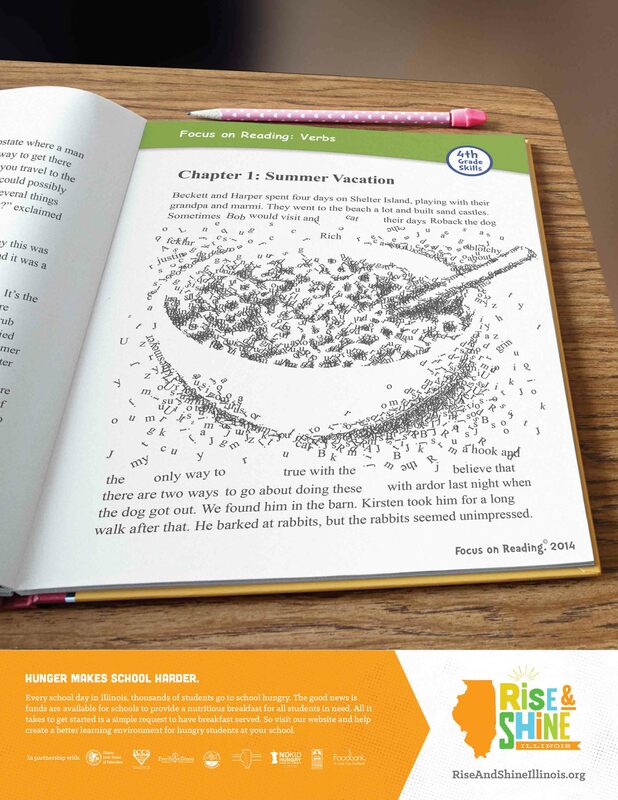 SPRINGFIELD — State Senator Patricia Van Pelt (D-Chicago) is encouraging schools across the state to apply for the Rise & Shine Illinois 2015 Breakfast Grant. The deadline for schools to apply is Feb. 15. “It is often said that breakfast is the most important meal of the day. Without breakfast, our students do not have the fuel to get them through the learning day. With these grants, many of our most vulnerable children will have the nutrition necessary to grow, learn and succeed,” Senator Van Pelt said. According to the organization’s website, students who regularly eat a healthy breakfast score 17.5 percent higher on math tests than those students who do not, yet 449,092 students who are eligible for breakfast do not participate. “This program has proven successful in increasing the number of students who participate in their school’s breakfast program, thereby increasing their chances of success,” Senator Van Pelt said. Rise & Shine Illinois, a partnership of many organizations whose mission is to help feed children, has awarded the grants to schools since 2010. Since 2013, the organization distributed approximately $200,000 to schools across the state.